If you’ve ever watched HGTV or spoken to a REALTOR®, then you probably already know there are a million and one ways to renovate your home and increase its overall value. But what if you don’t have a million hours to work on fancy home improvements, or a million dollars to spend? Here are five easy ways you can increase your home’s value, without breaking the bank or breaking your back. Dig in the dirt. First impressions are incredibly important when it comes to marketing your home, and the exterior of your house is the first thing potential buyers will see. If interested buyers notice that the exterior looks neglected, they might assume that the inside has suffered the same fate. The type of landscaping is largely a matter of your personal preferences; just make sure that your yard looks tidy and cared for. Another way to increase the aesthetics of your home’s exterior is by upgrading items like windows, shutters and siding. While this can be more expensive than a small landscaping project, these are things that will probably be noticed immediately. Light the way. Lighting can actually help rooms of your home appear more spacious, so it is especially important to have good lighting in smaller rooms. Improving your home’s lighting is a very quick and easy way to make things look warmer and more appealing. You may also want to look for energy-efficient lighting solutions – and that goes for both interior and exterior lights. Outdoor security lighting, such as floodlights and motion-activated lights. Provide an additional way to make your home appear appealing – and safe. 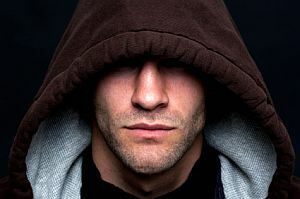 Plus, a well-lit home can help deter burglars since they’ll have fewer shadowy places to hide. Use wireless services. Nothing makes your home look messier than a tangle of wires. By using wireless devices (keyboard, mouse, cable box), you’re making your home look sleek and modern. You can find Internet bundles with wireless services – you’re saving money and showing visitors to your home that it’s modern and keeping up with technology trends. Plus, the money you can save by bundling your home services can go toward something else – like fixing up some facilities. Fix up the facilities. If you don’t have the funds for an extensive interior remodel, start with the bathroom. Real estate experts largely agree that remodeling your outdated bathroom is a good way to instantly improve your home’s marketability. Perhaps it’s because buyers are impressed that someone would put so much effort into such a small space. Regardless, installing new tile, buying a fresh shower curtain and stripping out that bubbled wallpaper is a good place to start. Improve energy efficiency. Many people are interested in conserving energy and saving money, especially with ever-rising energy prices. If you can market your home with energy-saving solutions, you will be a step ahead of the game. There are many ways you can improve your home’s energy efficiency, including sealing up cracks, improving insulation and installing programmable thermostats. If you like the idea of a long-term investment in making your property greener, consider planting a couple of trees. Believe it or not, having shady trees near your home can reduce your home’s cooling costs by up to 40%. Energy efficiency isn’t just for inside the home, though. You can switch out incandescent light bulbs for compact fluorescent, halogen and LED bulbs in your exterior fixtures. Roofing, siding and windows are all available in energy-efficient models and can help you save money on your overall energy costs, even if you have to put a lot of money up front. There are also do-it-yourself methods. If you can’t afford to upgrade every window in your home to an energy-efficient model, consider adding weather-stripping and strategically applying some caulk. Certain window treatments and coverings can even help keep your home cooler in the summer months and warmer in the winter. While finding a home with a tennis court is not common in the greater Dallas Fort Worth area, they do exist. 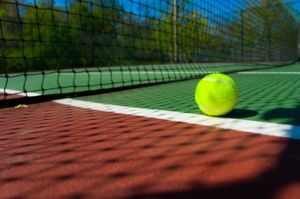 A home with a tennis court typically sits on a very large lot as the court measures 78 feet by 36 feet in size but requires 120 feet by 60 feet to give space for over-runs. This drives up the price of the house. While you may find homes with tennis courts in the $300k range, most of them are substantially higher. Click here to see all homes for sale in the greater Dallas Fort Worth Metroplex with tennis courts. You Missed Your Chance to Steal! One of my agents was out working in our Lexington Park sales office today. A potential buyer and his agent walked in to see one of our floor plans. After walking it, they “hated it.” We have several different townhomes available and so they were shown two other floor plans. They absolutely loved one of them. All seemed right with the world. They walked back in the sales office and were discussing price. The model they like is just a little over $200k. They told my agent they wanted to purchase it for $150k! When asked why the offer was so low, they responded, “It’s a buyer’s market.” My agent politely told them that this was not going to happen and they went on their way. Attention Buyers…You missed your chance to steal! The buyer’s market in the greater Dallas area ended in January 2012. Prices have been on the way up and inventory levels are at record lows. Multiple offers are back as well. The good news is that interest rates have remained low (they are creeping up) and you still have a chance to get a great home with low payments. While you missed the bottom of the pricing cycle, you can still take advantage of the low interest rates to purchase a home. 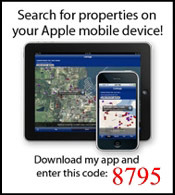 Click here to search for homes for sale in the North Dallas Suburbs. The Dallas Business Journal released the 2011 Top Residential Real Estate Brokerage List on March 23, 2012. 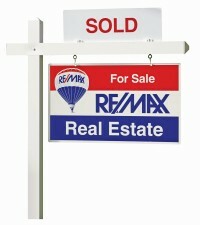 RE/MAX Dallas Suburbs ranked number 15 in 2011 with 1134 closed sides and over $270 million in sales. RE/MAX Dallas Suburbs agents averaged 14.9 sides and $3.55 million in sales volume per agent. Among the national brands in the Metroplex, RE/MAX agents outproduce all other brands by a 3 to 1 margin. Tom and Gina Branch, The Branch Team, closed 112 sides with a total sales volume of over $17 million. Thinking About Selling? This May Be The Time! The past couple of months have been crazy! Homes that are in good condition, show ready, and priced right are flying off the greater Dallas market. It’s almost like the good old days. Two of our recent listings had multiple offers within a week of going on the market and several of our buyers had to pay list or above in order to secure a contract. The buyer’s market in north Dallas area is over in the under $200k price range. There’s been a lot of speculation as to the reasons but many first-time home buyers have been sitting on the fence waiting for rates to bottom out or the economy to stabilize. This may last well into the normal spring sales season unless something bad happens to the economy. The run-up in oil prices and the impact on fuel prices could send them back on fence. If you’ve been thinking about selling your home and moving up this may be one of the best times in history to do so. Homes under $200k are moving, prices are likely at the bottom, and interest rates are insanely low. We closed a home a couple of weeks ago with a 15 year mortgage at 3.00 percent and another recent closing had a 30 year FHA mortgage at 3.875 percent. 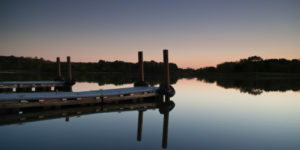 The Branch Team has relaunched HUDHomesDFW.com! If you’re searching for HUD Foreclosures or HUD Homes, this website is for you. It contains information about HUD properties and links to all the available HUD homes in Collin, Dallas, Denton, Rockwall, and Tarrant counties. Unlike many foreclosure sites, we will not ask you to pay us to look at foreclosure listings, nor will we require you to give us your contact information. 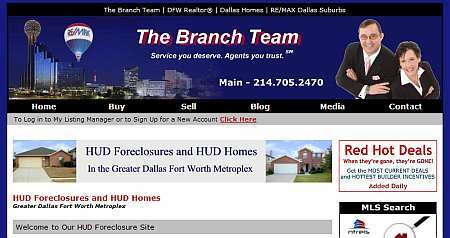 Feel free to use the “HUD Search” links on the site and you can have immediate access to all active HUD Foreclosure listings in the greater Dallas – Ft. Worth Metroplex. 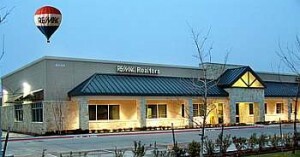 The Branch Team with RE/MAX Dallas Suburbs is a HUD Approved Broker and is authorized to place bids on HUD properties.